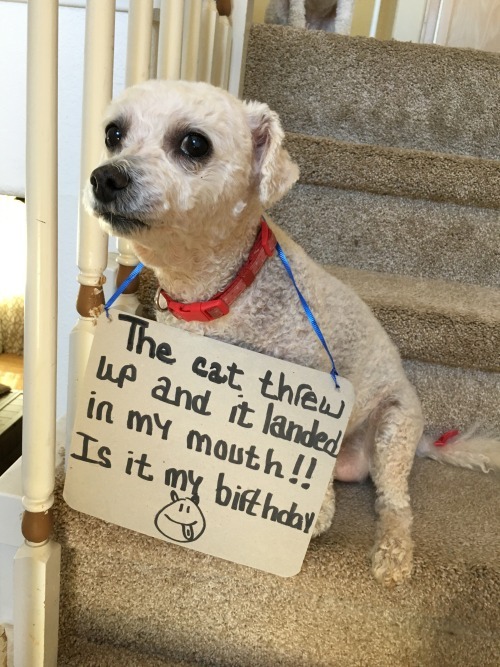 19th The cat threw up and it landed in my mouth!! Is it my birthday? The cat threw up and it landed in my mouth!! Is it my birthday? Posted in Dog-Shame and tagged Dog Breeds by cnkguy with no comments yet. 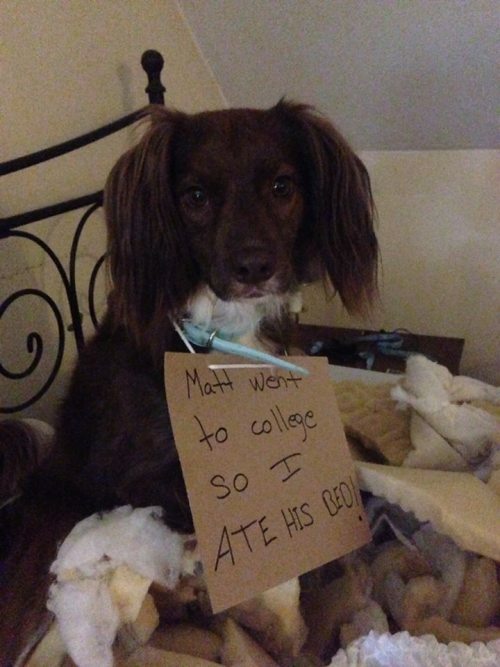 My son left for college and Talullah acted out by eating his bed! I ate a hole in mommy’s new shirt. I am her therapy dog in training and it is working. 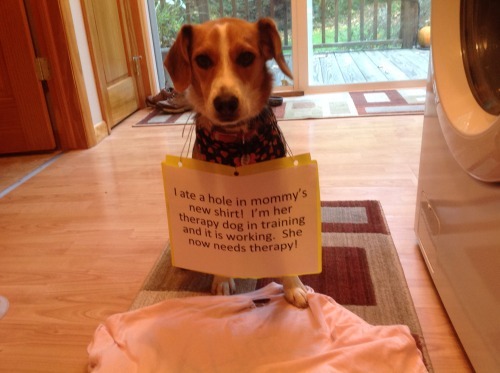 She now needs therapy. 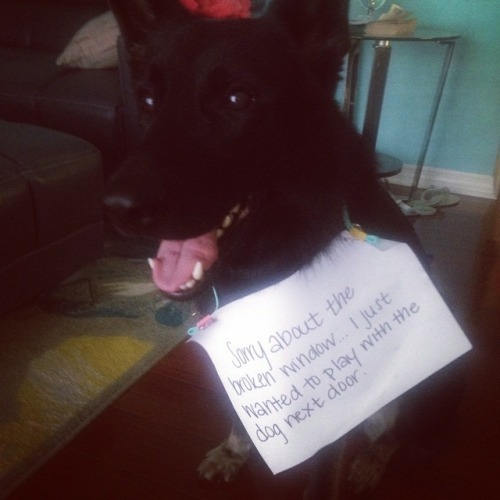 Sorry about the broken window… I just wanted to play with the dog next door.